Herring 100 is a leading resource devoted to the intersection of sports and technology. The website includes details about the world’s best high technology innovators, sport technology investors and major sport technology events around the globe. Technology has been used in sport for decades and plays a vital role in elite sport. Some of the earliest technology in sport was the instant replay screen (1955) and first use of electronic timing touch pads for swimming (1957). In the pre-digital age, the application of technologies in sport was heavily concentrated on athlete testing (diagnostics); improved sports equipment through better engineering and design; and adjudicating at competitions. 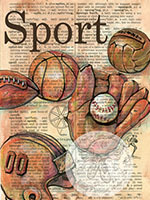 Sports excite people as a triumph of human effort. Behind the scenes there are a number of things that go into that triumph, and at the top is technology. The sports world today is being smart with technology, combining natural, athletic talent with advanced analysis and even artificial intelligence (AI) to produce the best possible outcomes on the playing field. Technology allows the reviewing of player performance, improving areas of weakness, through to predicting optimum actions for future players. Online sports technology has had an enormous impact on peripheral sports industries including investment and betting. Technologies have not only been designed to improve individual performance/training, but also the broader fan experience. Invention and innovation is expected to continue in the future. In the early days of internet sports, computers were commonly used, but there were no mobile devices. The internet opened up a full range of sports that changed the world of broadcasting, pushing forward further innovations that continue to date as companies, such as ESPN, investing heavily in new technologies to react to events in real time. The first internet casinos started in 1994, with online sports betting sites following soon after. Limited by slow connection speeds and processing power, these were simple and crude, but laid the foundation for innovation and growth that continues to date. As computers rapidly improved and internet speeds increased, so did sports technology. The most significant change in sport has come through digital technology over the past two decades, with invention and innovation in small, powerful, real-time devices that give immediate feedback on performance; as well as innovations in sporting equipment; clothing; competition adjudication and formats; and media communications. With the launch of the iPhone, the use of the internet and online applications broadened the content that fans and customers could access. Sportsmen and women were able to more accurately measure performances and so improve their skills. The sports industry have been quick to adapt to this. Mobile sports betting allowed anyone to place a bet on a sporting event from anywhere and at any time, including during a sporting event. For example just by checking this ranking of cricket betting apps by Indian bettors, you will feel a small part of betting apps available, but still they were virtually 0 in the early 2000s. 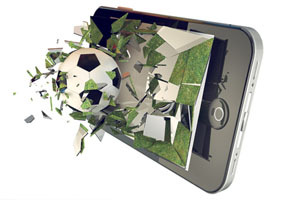 Over time, the mobile market has dominated in the sports betting industry. An increasing variety of payment methods and faster updates on online betting have helped grow this business. By 2005, sports betting was a major worldwide industry with the ability to keep up with the changing trends. This has helped push sports technology generally, into a multi-billion dollar industry. With the ability to capture big data, companies will continue to use this data as a predictive in sports, financial markets and other industries. In the long term, a lot will depend on the sources of information where companies will place their investments. For those who enjoy sports betting, there are already advances in technology that allow gamblers to process information to make a safer (but not fail-safe) bet. Companies already collect data, process it in large volumes at real-time speeds, and write code that can automatically action the findings to inform the gambler the expected result of a game, match or event. Information can now be processed to create pre-match odds to in-game odds based on historical results and player/team strengths, which overcome betting fees and bookmaker margins. Companies such as Microsoft, Google, and Facebook have all shown interest in benefiting from the large-scale legalisation of sports betting worldwide. The ability to access, process, and gain insight from data gives athletes and their coaches the ability to work towards the edge they need to win. With cloud solutions increasing the amount of data that can be processed, sports industries are competitive in getting the best results in their field of specialisation. One example is the NFL who are in talks with Twitter with regards to live streaming. The rise of technology has caused fierce debate, but in soccer has changed the game. From the humble LED perimeter advertising boards to the seamlessly integrated goal line technology of the Premier League and more recently, FIFA’s use of Video Assistant Referees at the World Cup. Video replay technology is finally beginning to make headway after the success of goal-line technology. Sports technology continues to expand at a rapid rate. Augmented reality (AR) and virtual reality (VR) are always looking for new industries to take over. The technology behind AR and VR were initially developed for video gaming, but has since innovated many different fields, including that of professional sports, with everything from seat placement to live statistics. There is also growth of technological expertise within eSports, and player-tracking companies. There are now many professional sports experts in social media, mobile and wearables. Sports technology has changed the sporting landscape. Brute strength has been overtaken by intelligent strength. Today’s best prepared competitors are training smarter, not harder. 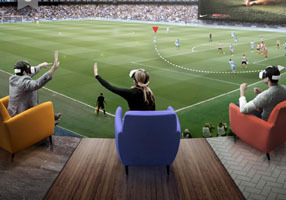 There are international sports conferences dedicated to the future direction, and issues, facing sport technologies. These include the overarching goals of recent high performance innovations to enable athletes to perform at their best by reducing the risk of injury, increasing training efficiency, and speeding recovery; technologies that not only capture data, but present it rapidly to coaches in an understandable and actionable format, and; the unanswered question of “who owns the data”, where it is stored and who has access.